Below you fill find all funeral homes and cemeteries in or near Acworth. Suburbs of Acworth: Oak Grove. Acworth is also known as: Acworth Beach, Acworth Beach, Georgia, and Cobb County / Acworth city. Their current mayor is Mayor Tommy Allegood. Zip codes in the city: 30101, 30102. 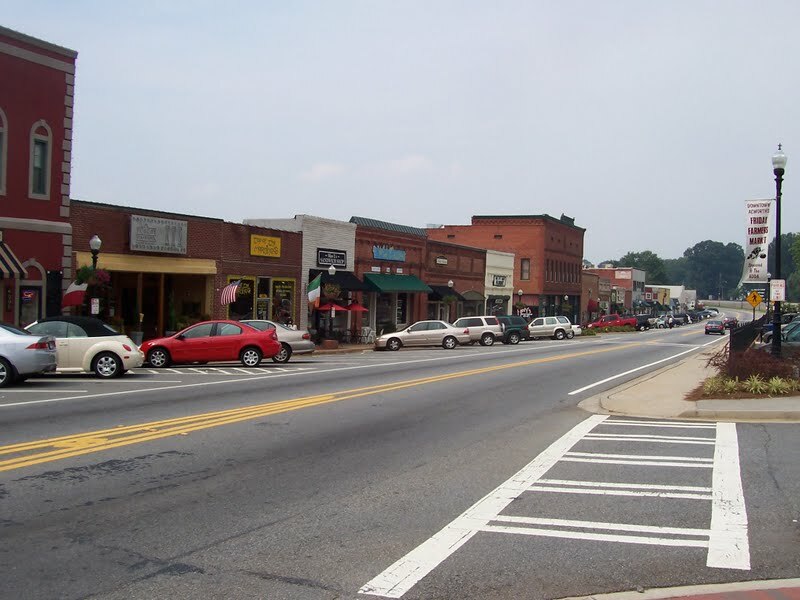 Acworth has been featured in films like: Footloose (2011). Some of the notable people born here have been: Calvin Middleton (american football player). Acworth is a city in Cobb County, Georgia, United States. It is part of the Atlanta metropolitan area. As of the 2010 census, this city had a population of 20,425, up from 13,422 at the 2000 census. Acworth is located in the foothills of the North Georgia mountains along the southeastern banks of Lake Acworth and Lake Allatoona on the Etowah River. Unincorporated areas known as Acworth extend into Bartow, Cherokee, and Paulding counties respectively.Acworth's nickname is "The Lake City". Acworth Beach is located on nearby Lake Allatoona and Lake Acworth. It was written on January 22nd, 2019 that Harold Terrance Baker perished in Acworth, Georgia. Baker was 75 years old and was born in Grafton, WV. Send flowers to express your sorrow and honor Harold Terrance's life. It was noted by Athens Banner-Herald on December 23rd, 2018 that James Edward Parker passed away in Acworth, Georgia. Parker was 65 years old. Send flowers to express your sorrow and honor James Edward's life. It was written on December 5th, 2018 that Turner James Cockrell died in Acworth, Georgia. Cockrell was 21 years old. Send flowers to express your sympathy and honor Turner James's life. It was disclosed by The Times on November 2nd, 2018 that Billie Dean passed on in Acworth, Georgia. Dean was 64 years old. Send flowers to express your sorrow and honor Billie's life. It was revealed by The Times on October 24th, 2018 that Barclay Wiseman passed on in Acworth, Georgia. Wiseman was 30 years old. Send flowers to express your sympathy and honor Barclay's life. It was disclosed on October 12th, 2017 that Frank A Zeik passed on in Acworth, Georgia. Zeik was 95 years old. Send flowers to express your sympathy and honor Frank A's life. It was disclosed on September 24th, 2017 that Geraldine L "Geri" Ebert (Scheffler) passed on in Acworth, Georgia. Ms. Ebert was 89 years old. Send flowers to express your sympathy and honor Geraldine L "Geri"'s life. It was written on August 20th, 2017 that Margaret Theodora "Margee" Strub (Justen) died in Acworth, Georgia. Ms. Strub was 85 years old and was born in Iowa City, IA. Send flowers to share your condolences and honor Margaret Theodora "Margee"'s life. It was written on January 26th, 2017 that Paul Anthony Regensburger perished in Acworth, Georgia. Regensburger was 71 years old. Send flowers to express your sorrow and honor Paul Anthony's life. It was written on January 24th, 2017 that Patricia Compton passed away in Acworth, Georgia. Compton was 77 years old. Send flowers to share your condolences and honor Patricia's life. Acworth's nickname is "The Lake City." . Some of the incorporated portions of Acworth east of Nance Road and Acworth Due West Road have a Kennesaw mailing address. Unincorporated areas considered Acworth for mailing purposes also extend into southeast Bartow County, northeast Paulding County, Georgia County and southwest Cherokee County, Georgia County. Acworth Beach is located on nearby Lake Allatoona and Lake Acworth. Acworth is a city in Cobb County, Georgia (US state) United States. The official website for the city of Acworth is http://www.acworth.org. Surviving are daughter, Oliva Townsend Chattanooga, TN; parents, David and Patricia Townsend, Acworth, GA; brothers ... 2010 at Winkenhofer Pine Ridge Funeral Home Kennesaw, GA. (770) 422-7299. Funeral services will be held Sunday, Oct. 31, 2010 at 2 p.m. at Collins Funeral Home in Acworth, Ga. Graveside services will be conducted on Tuesday, November 2, 2010 at 2:00 p.m. at Resthaven Memorial Park Cemetery in Princeton with Speaker Jimm Norman officiating. Find funeral directors & Funeral Directors in Acworth, GA. Read business reviews, find driving directions, and more. funeral directors on YELLOWPAGES.COM. We work with local florists and flower shops to offer same day delivery. You will find budget sympathy flowers in Acworth here. Our funeral flowers are cheap in price but not in value.